For years now, many high-ranking state and local government officials around the United States have been exceptionally generous in promising and providing big pensions to the police, firefighters, and civilian government employees in return for their their political activism and support in their communities. At the same time, they have been counting on getting exceptionally big returns on the money they’ve set aside, from their state and local government tax collections, to invest through their public pension funds to pay for the retirement benefits of state and local government employees. And for years now, those investments haven’t been returning anywhere near what these high-ranking officials have needed them to yield in order to deliver the lavish pension benefits that they have promised. In many communities, officials have even encouraged their pension funds to pursue increasingly risky investments, in hope of delivering the big investment returns they need to sustain their promised public employee retirement benefits. The Dallas Police and Fire Pension System, once applauded for a diverse investment portfolio that included Hawaiian villas, Uruguayan timber and undeveloped land in Arizona, finds itself needing to dig out of a deep hole. A $1.2 billion change last year in the difference between the value of its assets and what the pension owes retirees left the $2.6 billion fund with just 45 percent of the assets needed, down from 64 percent at the end of 2014. The pension, which was 90 percent funded a decade ago, could be out of cash in 15 years at the current rate of projected expenditures, according to a Segal Consulting report last month. The sudden burgeoning deficit shows the bind public officials across the country are grappling with as investments and funding lag promised benefits. The city and pension fund members now send an amount equal to 36 percent of officers’ pay to the pension, but that percentage needs to more than double to fully fund the pension over the next 40 years, according to Segal. With no way other than imposing huge tax increases and cuts in city services to bail out Dallas’s failing public-employee pension fund and keep it afloat, the city’s government employees have begun implementing their own personal bail out plan—they have begun withdrawing their promised pension benefits in lump sum payments. According to the New York Times , so many city employees seeking to protect their promised retirement assets have done so that the pension fund is now at risk of full financial collapse, in the modern-day equivalent of the kind of run on failing financial institutions and banks that occurred in the U.S. during the gloomiest days of the Great Depression. Over six recent weeks, panicked Dallas retirees have pulled $220 million out of the fund. What set off the run was a recommendation in July that the retirees no longer be allowed to take out big blocks of money. Even before that, though, there were reports that the fund’s investments — some placed in highly risky and speculative ventures — were worth less than previously stated. 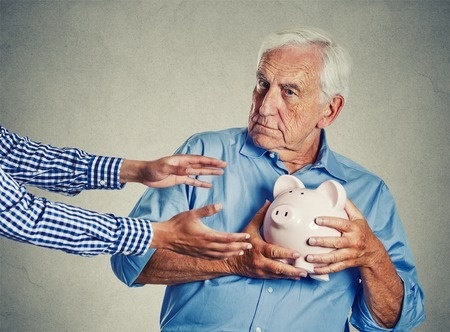 At a minimum, this situation, which exists to varying degrees for state and local governments across the United States, points to the need to reform public-employee pension plans to protect both government workers and taxpayers from such failures. Options for reforms might include a combination of measures such as transforming defined-benefit pensions into defined-contribution, 401(k)-style pension plans, imposing strict restraints on both how and when public employees can collect their pension payouts, and requiring public employees to contribute much larger shares of their current incomes toward their retirement plans. Meanwhile, the government-employee pension funds themselves should be required to establish “living wills“, similar to what large U.S. banks have been required to do since the fiscal crisis of 2008, such that if independent regulators or rating agencies determine that they have become insolvent, their remaining assets might be liquidated in an orderly fashion and fairly distributed among their public-employee beneficiaries. Without such reforms, state and local government officials would only be ensuring that public-employee pensions will remain at risk of failure. As the example of Dallas reveals, public-pension shortfalls badly hurt people in the community that the government officials are supposed to serve.